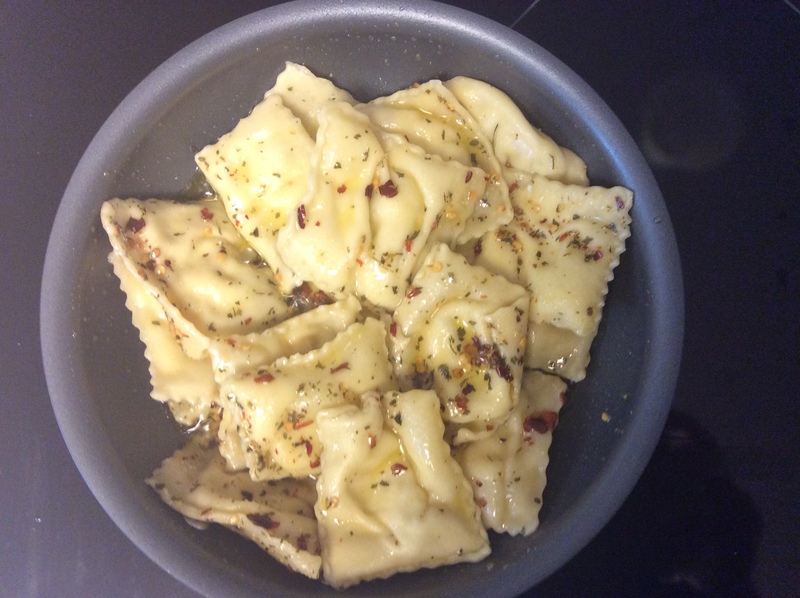 Ravioli with garlic and herb | Let's Eat! This is an original recipe I made up inspired by a dry spice packet I purchased in Tuscany for making Pici All’aglione, which is a spicy tomato sauce. The spice packet is a mixture of dry italian herbs and crushed red pepper. I did this in the style of making aglio e olio but added the spices to the oil when infusing the garlic with the olive oil. You want to use a high quality olive oil for the best taste! Cook the Ravioli per instructions. 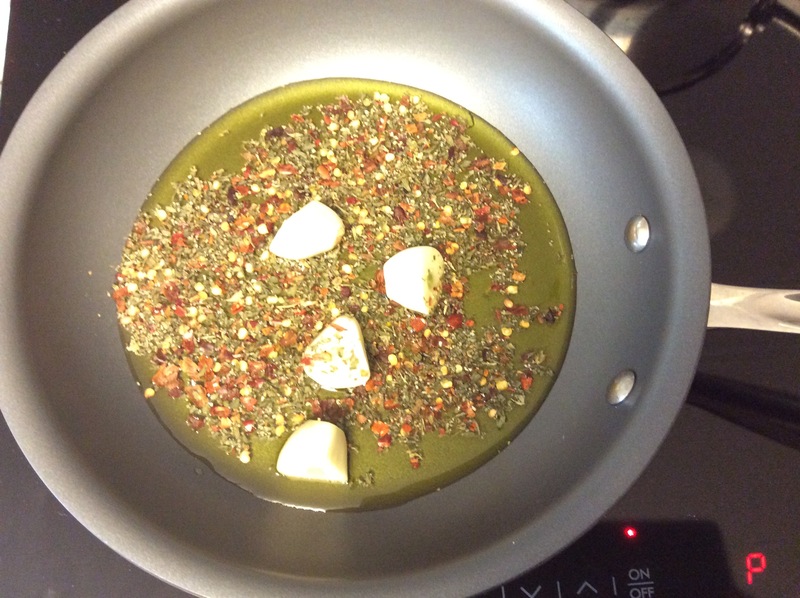 While the ravioli are cooking add two tablespoons olive oil to a medium skillet. Add the crushed red pepper, dry italian herbs and garlic cloves and simmer slowly over medium-low heat until the garlic begins to brown. This should take 5-10 mins. Don’t let the oil get to a temp that fry the garlic-it should be a slow simmer. Once the ravioli is cooked add them to the skillet and toss them to coat. Transfer them to a plate and cover with fresh Parmigiano Reggiano to you taste! 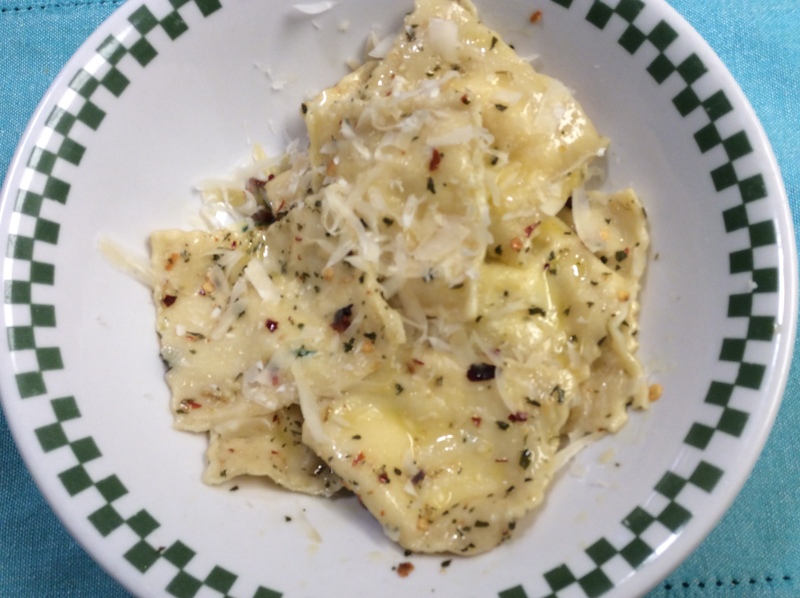 This entry was posted in Main navigation, Recipes and tagged Aglio e olio, Cheeese ravioli, Homemade ravioli, Ravioli with garlic and herb. Bookmark the permalink.